Blended. Photo taken in natural light. My skin has been playing up something chronic lately so I've been after something to cover up those pesky spots. 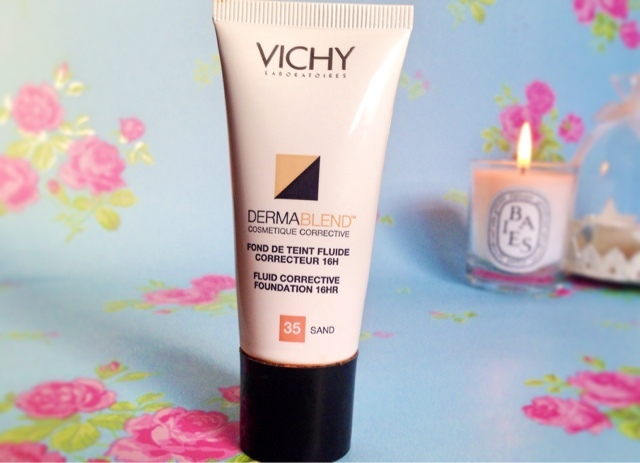 While hunting through my make up stash I found this little gem, Vichy Derma Blend. Advertised as a corrective foundation for scars, acne and imperfect skin, I thought I would give it ago. 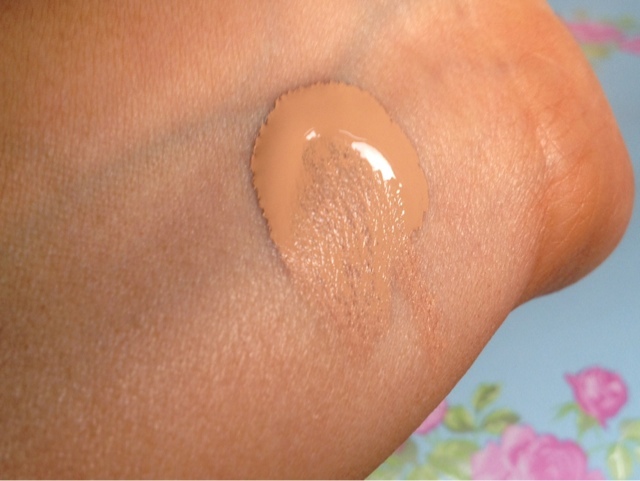 The foundation is surprisingly lighter than I thought it would be, the texture is thin and easily blended, I was imaging a heavy, cakey foundation that would look unnatural and give my skin an almost "drag queen" appearance, but it didn't. As a foundation is was great, but obviously not as light as your run of the mill foundation. 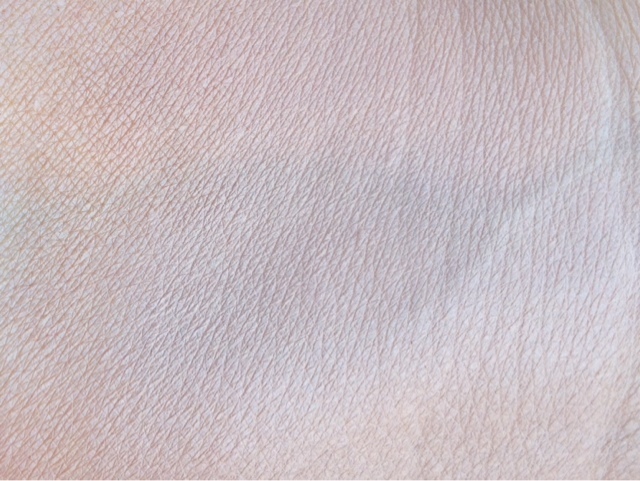 It is full coverage with a matte finish, covering imperfections in a non mask like way. The reason I wanted to talk to you about this today is because I have been using it a concealer and found it works wonders! My problem area is around my chin and month and the rest of my skin is clear, so I found myself not wanting to put this all over but just on the areas of concern. I used my regular foundation, which is Laura Mercier crème silk and dabbed a tiny bit of the Derma Blend on the blemishes. With the high coverage and matte finish there was no need to powder or set the "concealer" in place, the spots were concealed perfectly and the results lasted all day without the need for touch ups. By doing my make up this way I've found my skin looks a lot more natural and clearer. Vichy Dermablend can easily be picked up in most Boots stores for £15.50 (considering I'm only using it as a concealer the tube will last ages!). The only problem I found was there wasn't a fantastic shade range, I think I could only find 3-4 different shades which isn't great but it could have just been my store. If you're in the need for a good cover up I would definitely recommend this, it has been a life saver these last few weeks! Have you tried this? 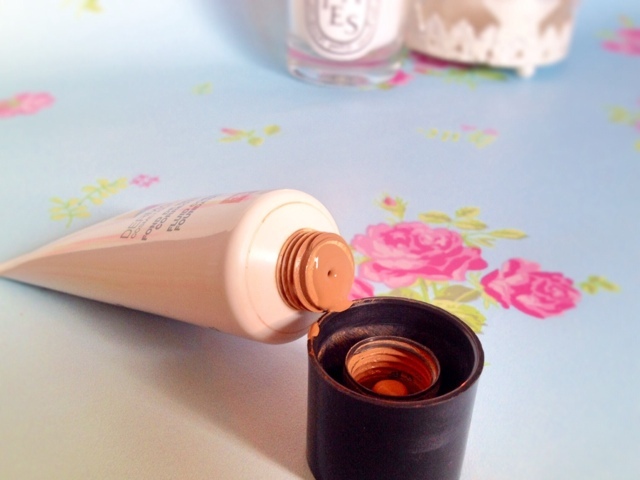 What are your favourite concealers to use? I've been considering giving this a try to help cover up my acne scaring when it's particularly bad or break outs when I get them. I think I probably will try it out in the future, but the ideal would obviously be that my skin would improve and I won't need it! I've been using this in exactly the same way recently - as more of a concealer on my annoying chin which keeps flaring up. I pop a few blobs on and then blend it in with my real techniques buffing brush. Works a treat!